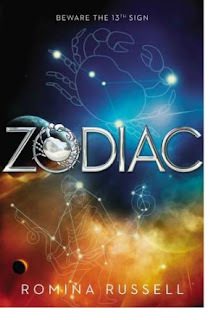 BLOG TOUR: Zodiac by Romina Russell | Galaxy Nail Art + GIVEAWAY! Hey guys! 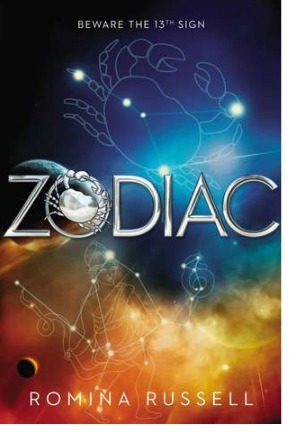 I'm super stoked to be participating in the Penguin Teen readathon blog tour for the Zodiac series by Romina Russell! This tour is gearing up for the release of the final installment, Thirteen Rising, which comes out on August 29th. 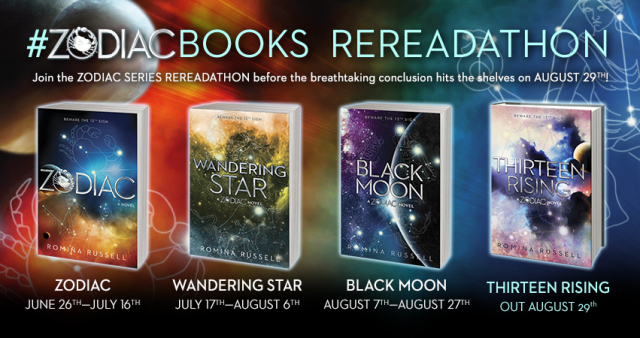 I've been meaning to get to start this series so I'm really grateful for the opportunity to be apart of this readathon, where everyone else is also rereading while I'm reading for the first time. Today's nail inspired art look will be based by the vibes that I'm getting off of these beautiful covers. 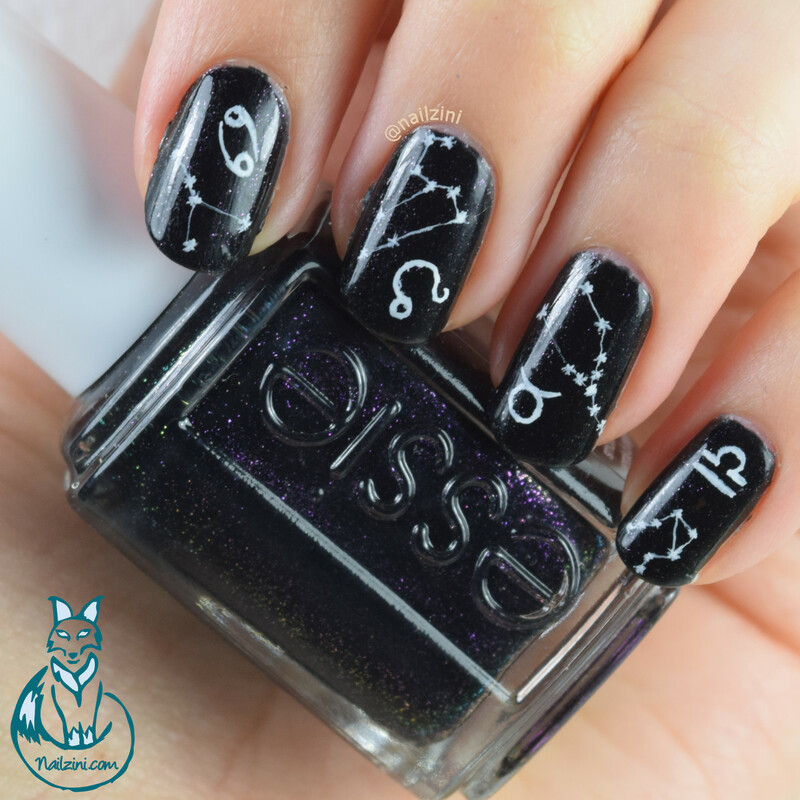 I've never really done nail art for a book post before, but I would really love to go back to my roots of nail art. I used to love doing different designs and changing it up every week but unfortunately my workplace doesn't allow nail polish at the moment, so I've had to close that hobby. But... since it is the weekend, I figured this galaxy-inspired nail look couldn't wait! My nail art skills are mediocre at best but it was still fun to whip out the tools and the nail polish and get to work again! I forgot how fun it was just to do your nails while the music is on in the background. If I were to redo this look, I'd probably have to be more careful when drawing these precise lines and corners. I think precision and accuracy is the most important thing when it comes to drawing on your nails with a sharp tool. Don't forget to join the exciting twitter chat on the 16th! 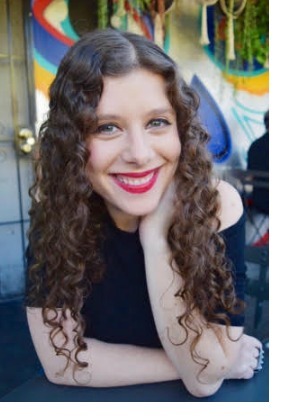 Categories: 2017, blog tours, giveaway, Penguin. me too, and I should probably start it! Love the nail art! I'm lucky to polish mine without polishing my skin, too lol. This series looks fun, especially with the space theme. Thanks for hosting! I enjoyed your post today! I do love your manicure inspired by these books and think you did really well. I wonder if I could do this--I am inspired to try it! These books are not only gorgeous to look at but sound exciting to read too. i've also heard from a lot of people that have read the series that it's amazing!